As filmmakers, there are a few aspects of the process we may not always enjoy. Budgets can quickly remind us of why we failed 9th-grade algebra. Location permitting takes out all the fun of being a “guerrilla filmmaker.” And then there’s insurance. Production insurance can sometimes feel unnecessary and the cost is often “not in the budget” for us fellow weekend warriors. However, if there is anything that is necessary when it comes to legitimizing your shoot, it is having proper and adequate insurance coverage. Before I sound too heavy-handed like a nagging parent, hear me out. Insurance does a number of things. Most importantly, it covers you for lawsuits, and it opens doors to work with more esteemed vendors and clients. A lot of equipment owners, both rental houses, and individuals will always require insurance before they lend you their gear–especially if they’re lending it to you at a discounted rate. They want assurance that they’re covered if the gear is damaged or stolen from you, so they don’t have to sue you to recoup their losses…hopefully by now I’ve gotten your attention. So, I decided to do a little homework and research insurance quotes and coverages from some of the top entertainment insurance brokers in the business today. Specifically, I called seven companies to see who would be the best in supplying me with an insurance policy for my upcoming project. I needed a 4-day policy to cover $50,000 worth of rented equipment. Alas, below, are quotes, levels of service, and the overall experience I received from each and every insurance broker. Let’s dive into my results. As expected, it was quite difficult to track down answers and accurate information from most insurance brokers. Some companies didn’t respond for more than a day, and some never responded. Others only communicated via email. What?? Isn’t it 2018? InsureMyEquipment.com doesn’t do phone calls, only emails. I get it, I myself have moved a lot of correspondence to email and text. However, when it comes to insurance, finances and a deadline looming, I need answers and the reassurance that an actual human will help when questions arise… not a delayed, cold email conversation. Truman Van Dyke was relatively fast to respond via email and TCP Insurance responded after 5 hours which was nice. Film Emporium took a full day and Front Row never responded to any of my emails or phone calls. Hmm? Athos Insurance was the clear front-runner when it came to communication. I called. They answered. After 1 and a half rings! And my questions were answered within our 7 min and 36-second call (yes I timed it). In the age of Uber, Venmo and millennial immediacy, a fast turnaround time for insurance is like asking my Grandma to color correct my feature film. However, some did impress me. Athos’ painless phone call really helped me decide what I needed for a policy and it took me about 10 minutes to buy the policy online after the call had ended. InsureMyEquipment was simple to use online as well. Like Athos, they have an “instant” online platform where I can buy a policy. And Truman Van Dyke answered pretty quickly. Film Emporium took a full day and both TCP and Front Row’s time took far too long for anyone…even my Grandma. Now, let’s talk money. This was a wakeup call for me. One thing I learned is that a lot of insurance companies lock you in at a higher premium because they bake-in unnecessary coverages or terms. For example, Film Emporium requires liability insurance. Therefore my premium was $650 which was too rich for my blood. Truman Van Dyke and Momentous were far out of my budget in the $1K or higher range. Whereas InsureMyEquipment was extremely affordable at $259. However, they locked me in at a $500 deductible. The winner here, is yet again, Athos Insurance. At $200 and a deductible of $250, this felt more than doable considering my budget. And if I wanted to buy a bigger policy with more insurance, Athos offered that to me as well. At the end of the day, I felt confident with a few of these insurance brokers. They were pleasant on the phone, had decent pricing and pretty solid coverage plans. However, there was one that I felt overwhelmingly confident with, and that was Athos Insurance. When I looked into them a little more, it all made a lot more sense. Athos sounded familiar to me because they are the exclusive partner to ShareGrid. I’ve interviewed the co-founder of ShareGrid before, Brent Barbano and am a big fan of what they’ve been up to. But why it makes sense that Athos is the clear front-runner is because they’re not my Grandma. They get indie production. They are integrated with ShareGrid and have done an amazing job appealing to filmmakers like you and I. Easy to get in touch with, instant/fast insurance and most importantly, affordable. They also made a video with ShareGrid last year. Both President, Kat Wong and Vice President, Aylene Villarin had some amazing insight on what filmmakers should do to properly cover themselves in today’s filmmaking world. Not to mention some amazing misconceptions and mistakes around production insurance. Let me know your thoughts on production insurance and if this was helpful! Remember, it’s better to be safe and protected than guerrilla and screwed….well, sometimes. 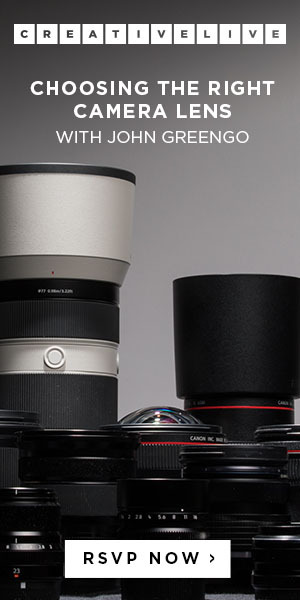 Enjoyed The Ultimate Guide to Camera Equipment & Production Insurance? Please share it in your social networks (Facebook, Twitter, email etc) by using social media buttons at the side or bottom of the blog. Or post to your blog and anywhere else you feel it would be a good fit. Thanks.